The challenge of this telecom cooling application was to maintain maximum fan speed control performance over an input voltage range of -33 to -72 VDC. 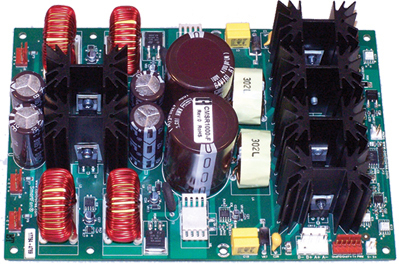 Dual “boost” regulators were designed to ensure that the fans could maintain full speed capability when the supply voltage dropped below 48V. Dual passive filters were added to meet EMI regulatory requirements. Fan speed control based on temperature was implemented using a PWM control algorithm.